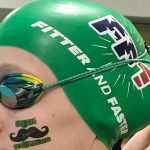 Two swimmers who were part of National Record setting relay are past Fitter and Faster Attendees! Congratulations to a group of four swim studs from North Allegheny High School who lit the pool up and in the words of SwimSwam.com ”took down a serious national high school record set by the power Bolles School” team that included THREE future Olympians. Rick Mihm and Mason Gonzalez both participated in Fitter and Faster clinics as age group swimmers. We look forward to following the careers of these two fantastic athletes and their two teammates. 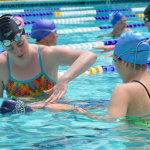 Who knows, maybe one day they’ll be leading Fitter and Faster Swim clinics!